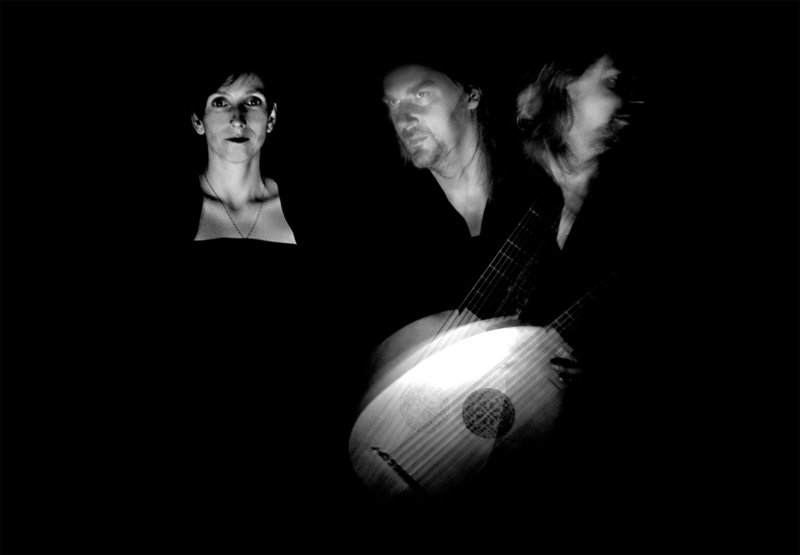 The Schoole of Night Berlin was founded in 2005 and it is a group of musicians who concentrate on the vast repertoire of the English lute song with a special emphasis on the works of the English composer and lutenist John Dowland. The artists of The Schoole of Night are renowned early music performers in Germany as well as abroad who are very often guests on the biggest music festivals , in various radio stations (Deutschlandradio Kultur, Deutschlandfunk, Polskie Radio Program II) or TV programmes (among others: SWR, Nedrland1, Telewizja Polska). The founder, Frank Pschichholz is a lutenist who has worked on this repertoire for over fifteen years now and especially the compositions of John Dowland are a great inspiration for him in his entire artistic work. The Schoole of Night Berlin cooperates also with theatre artists, visual and movement artistic groups and together they attempt to recreate the ideas and the atmosphere of Elizabethan England with its melancholy, platonic ideas with music present in all the spheres of human life, its politics and secrets. The aim of this work is to uncover the stories that lie behind Dowland’s song collections, the story of queen Elizabeth and the Earl of Essex, two most powerful people of the age, the stories of love, betrayal, court, politics, despair and death. The Schoole of Night Berlin performs their programmes both in Germany and abroad. In 2011 together with Teatr Cinema from Michałowice in Poland and its artistic director Zbigniew Szumski they have worked on a theatre spectacle Hotel Dieu, combining it with music of John Dowland’s Second Booke of Songes and selected songs of Karol Szymanowski. This cooperation led them to Tokio where they performed it together with Kaitaisha Theatre. They have already played on the festival The Song of Our Roots in Jarosław in Poland, during Banchetto Musicale in Vilnius (Lithuania) as well as on numerous festivals and concert series in Germany. The concert from the festival in Jarosław has recently been broadcast by Polskie Radio Program II in the series Filharmonia Dwójki.